A classic flat glass plaque award in an elegant shield shape design with bevelled edges, made in jade glass with a matching jade crystal base. 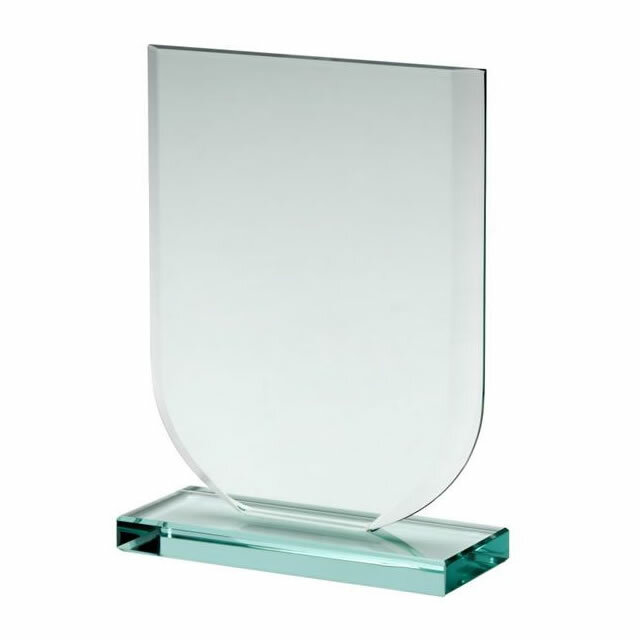 These value-for-money awards are made in 10mm thick glass, lighter and thinner than other versions of the award and therefore less costly too. Available in three sizes options.